It’s better late than never, right? But now it’s time for action. Going on four years since a 2011 damaging 5.6-magnitude earthquake and several aftershocks struck near Prague, Oklahoma, the state has apparently finally admitted the surge in quakes here could be tied to wastewater disposal wells used in the hydraulic fracturing, or fracking, process. The New York Times spelled it out in a major story yesterday. The state has published a web site on the state’s major earthquake surge-Oklahoma now leads the contiguous United States in the number of 3.0-magnitude or higher earthquakes-that includes information about the wastewater disposal well connection to seismic activity. What’s more, the state’s Oklahoma Geological Survey issued a statement that finally conceded what scientists have argued for years now. These earthquakes are “very likely” induced by manmade oil and gas drilling activities. Of course, there’s no telling how much damage the hundreds of smaller earthquakes over the last few years has inflicted and will continue to inflict on Oklahoma homes, other buildings and the state infrastructure, such as bridges. What about the condition of foundations of buildings or door and windowsills or cracks in walls? What about the alignment of bridge supports? The earthquake surge here is so phenomenal, at least in modern history, that it’s impossible to know unless thousands upon thousands of homes and buildings are thoroughly inspected. That takes time and money, and it’s not even the main dilemma right now. The main dilemma is bringing a halt to the earthquake activity. But the most worrisome idea posited so far is that the wastewater disposal well process has unleashed an earthquake surge here that can’t be stopped for the foreseeable future even if the state were to issue moratoriums on disposal wells. The state should issue a complete moratorium on wastewater injection wells in the state as soon as possible and get ready for lawsuits from the oil and gas industry. The state, perhaps with federal financial help, could offer free earthquake-damage inspections to any home or building in the state in particular zones of high seismic activity. The state, which has already done some inspections, should conduct specific earthquake-damage inspections to all the state’s infrastructure in zones of high seismic activity. Now is the perfect time to act. World oil prices are slumping and fracking activities have correspondingly diminished in Oklahoma’s oil patch. The science is overwhelmingly clear that manmade oil and gas drilling activities have caused the surge in earthquakes. Oklahomans, as witnessed in town halls on the issue, seem extremely concerned about their property and safety. In the fracking process, water laced with chemicals is injected by high pressure into underground rock formations that release oil and gas. The wastewater from this process is then “stored” after it is injected again by high pressure into wastewater wells. Scientists have published major studies arguing it’s the wastewater well process that has caused the earthquakes and warn the state may experience a major earthquake that does immense damage in the state. Environmentalists have also argued for years that the entire fracking process also leads to water contamination. 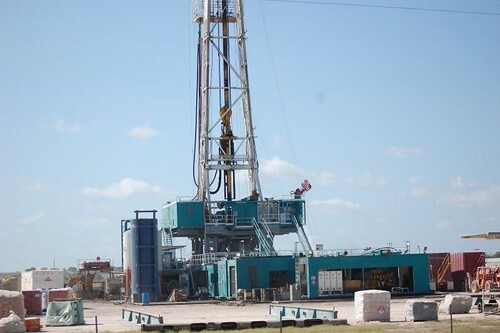 There’s no denying the oil and gas industry is important to Oklahoma’s economy, but there’s different methods to dispose or reuse or recycle wastewater from fracking. The continued development of renewable energy sources, such as wind power, has also decreased our reliance on fossil fuels. We’ve now fracked our way to oil independence from the rest of the world but at what cost, especially to Oklahoma?